I read more negative feedbacks, but I started my trading with InstaForex bonus amount, now I am a Successful person)). Very reliable broker. I have never faced any depoisitng/withdrawing issue with them. Fast execution (I use Hong Kong server), no requotes. And what’s important, you can always reach the Client Support Service by phone. The phone is always available, you don’t have to wait for 20 mins until they answer. I can’t believe that someone adds the negative reviews about this broker! Instaforex is one of the best at the forex market: excellent trading conditions, fast execution and withdrawals. I’m not even talking about the contests and bonuses. May I get your trading account number please? In my case, i have a good opinion of instaforex. 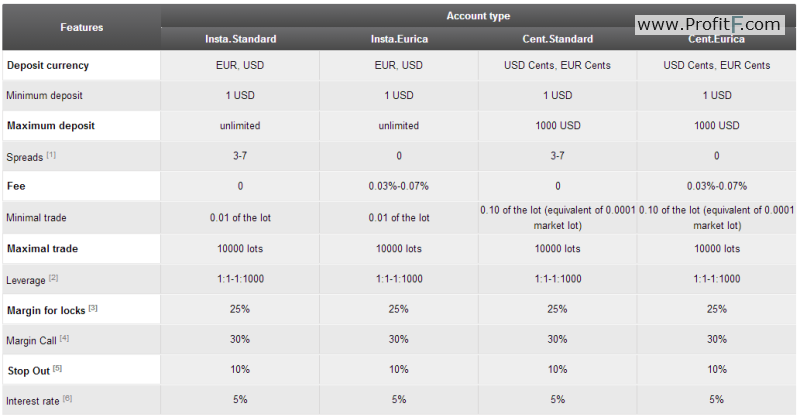 They offer excellent trading conditions and you can reduce spreads even more with instarebate. Client cabinet is well designed and all services of instaforex are there. even with the big slide of the swiss franc and negative balances , company like fxcm is still floating. I’m very happy. There was a free bonus and the customer support are very nice. Best of all, the platform was by far the easiest I’ve ever found. Instaforex has offered me the great trading instruments that is very useful in my trading. I recommend this to all traders. I traded with Instaforex for several months now and never had a problem. They have an outstanding platform and their trading fee is the best in the business, as far as I know. I wouldn’t have anything to complain. Good bonus, good service, no problem yet. I have read about Instaforex through internet and website. Since 1 year ago, I have traded with this broker and never encountered any issues. I had a wish to grow up my profit and money as to sustain the cost of living too. I did opened live account and register with PAMM system and select the best traders with good performances. I have deposited a $200 to invest in PAMM system and so far satisfied with the result as he consistently making profit also closed between 15-20 pips in each trades. It is highly recommended for those who is still looking for PAMM and wish all to success in each trading activities. Thanks Instaforex!